Meet the Smart Bots for Energy and Utilities. From SmartMeter and Account Info, Homemover to Collections, our Army of Bots has been designed specifically for Energy and Utilities and can be deployed in days to deliver great engagement experiences. 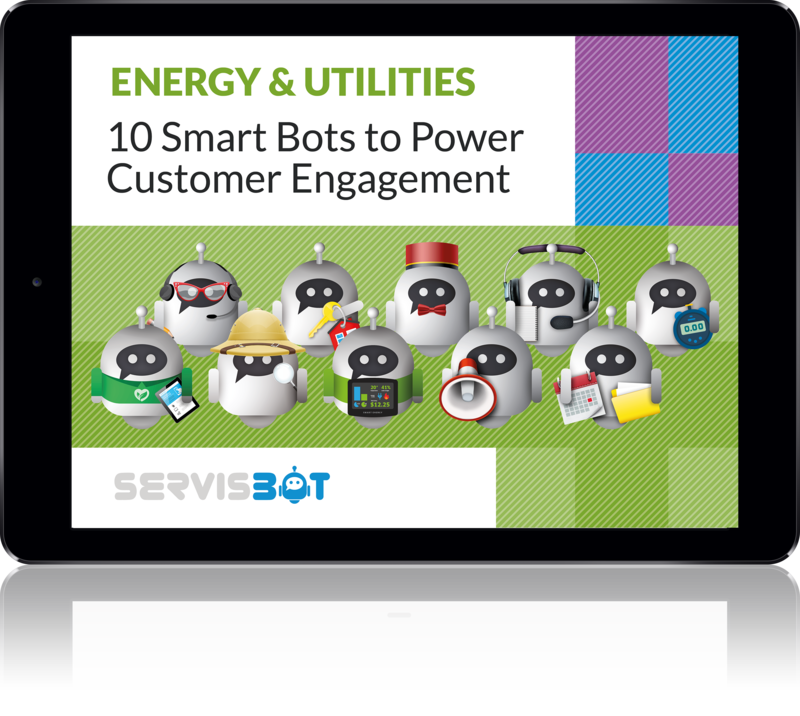 Whether it’s a query on a bill, onboarding a new utility customer, updating customers on the status of a service outage, or running a customer retention and win back campaign, chatbots and smart bots are offering game-changing opportunities for energy and utility companies to improve the customer experience while lowering the costs of service delivery.